But based on the talent and dedication of the McEwen team, which features Neufeld at lead, Matt Wozniak at second, Neufeld’s kid brother B.J. at third and their dad Chris as the coach, it’s but a temporary roadblock for one of the best young teams in the world, leading both the World Curling Tour money list and the Canadian Team Ranking System standings, pending Glenn Howard’s results at the world men’s championship in Basel, Switzerland. 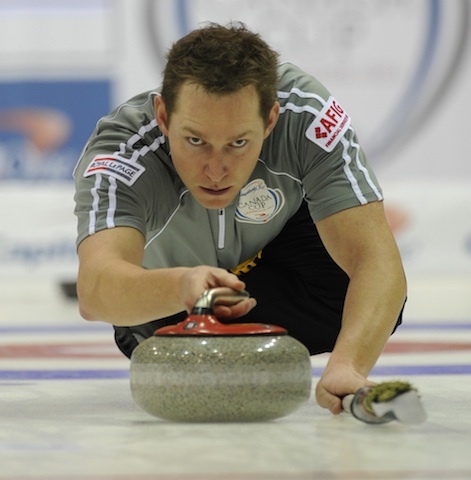 Denni Neufeld has been enjoying success on the pebbled ice for a long time, dating back to his first major victory as a skip, at the 1999 Canada Winter Games. 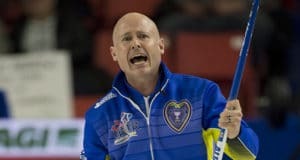 Two years later, he threw third rocks for McEwen’s Manitoba junior championship team that went on to finish second to Brad Gushue at the Canadian junior championships in St. Catharines. 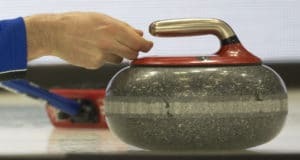 And two years after that, the McEwen team would claim a gold medal at the 2003 Universiade in Tarvisio, Italy, representing Brandon University. 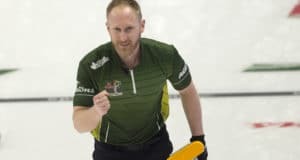 Neufeld also skipped a team to the Manitoba mixed final. 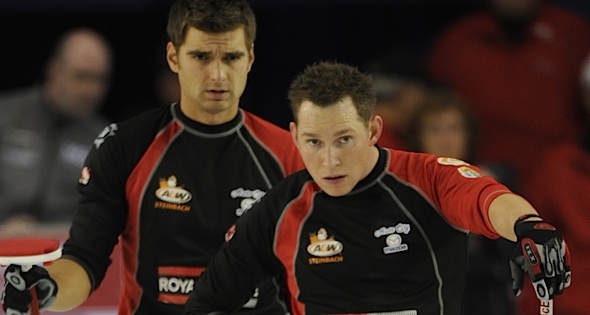 Since the current incarnation of Team McEwen was formed, Neufeld has become one of the best leads in the country, earning three all-star nominations at the Manitoba championship, and helping the McEwen team win 12 WCT events, including three Grand Slam titles. Neufeld’s golf game doesn’t have quite as many accomplishments, although he does have a hole-in-one on his resume, way back when he was 15 when he took one swing on the 7th hole at Sandy Hook to hole out a 176-yard 4-iron. 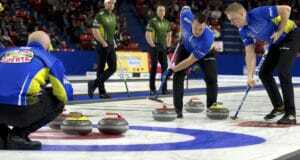 Curling Club: Fort Rouge C.C.